Absolutely everyone’s smile can benefit from regular professional preventive care! With the services outlined below, we’re not only able to catch dental problems as they pop up, but we’re also able to stop many before they even begin. We take a prevention-heavy approach here at Elmbrook Family Dental, so with us, your family will be able to enjoy strong, beautiful, and problem-free smiles year after year. All it takes is just one short appointment to safeguard a person’s smile, so to schedule yours, simply contact us today. Out of everything we provide local families every day, probably the most effective services we offer are the basic checkup and cleaning. With them, we can learn all we can about your dental health so we know exactly how to protect it long-term. 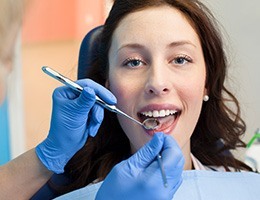 With a dental cleaning, one of our excellent hygienists will use sophisticated tools to break up and clear away the plaque and tartar that is the root cause of most dental problems. 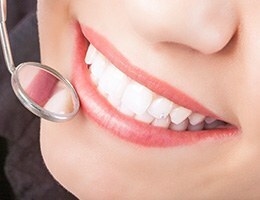 These cleanings are able to target those areas in your mouth your tools at home simply can’t reach, plus they can even break up light surface stains to give your teeth a nice polish! Then, your dentist will perform a thorough oral exam where they’ll check each of your teeth, your gums, jaw, and any existing dental work to make sure everything is in good shape. If they spot a problem, they’ll be able to intervene quickly before it ever has a chance to affect your smile. We want every child to grow up and have a strong and healthy smile, and we make sure that happens by providing comprehensive children’s dentistry that is designed to prevent cavities and aid the proper development of the face and jaw. And, many of our team members are parents themselves, so we’ll know exactly how to keep your little one comfortable at every visit. We’ll even provide helpful dental education to make your job at home a little easier! Bruxism is a very common condition where a person unconsciously clenches their jaw and grinds their teeth while they sleep. 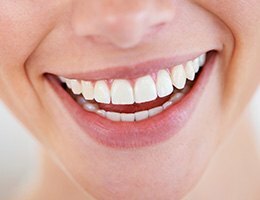 Left untreated, the teeth can become more sensitive, crack, and even fall out altogether! If we spot the signs of bruxism during your regular checkup, we may recommend that you wear a nightguard to bed. This custom-made mouthpiece will be designed to fit comfortably over your teeth and provide a protective barrier to prevent them from grinding at night. Oral cancer claims about one life each and every hour, which is tragic because it is actually very treatable when detected early. To make sure you or a loved one are never caught off guard by this disease, your dentist at Elmbrook Family Dental will perform an oral cancer screening as part of your regular checkups. They’ll examine your lips, gums, tongue, cheeks, neck, throat, and face for any signs of cancerous tissues, and should they discover something, they can help you quickly get follow-up treatment. Fluoride offers a safe and natural way to protect the teeth from both decay and cavities, which is why you’ll so often find it in toothpaste as well as tap water. To give everyone in your family a little bit of extra protection between appointments, we can include a topical fluoride treatment as part of your regular checkups. It only takes a few minutes, is completely painless, and it will help keep everyone cavity-free all year! 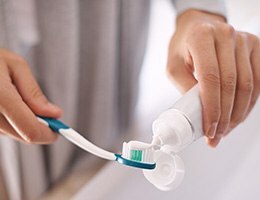 Your home oral hygiene routine is absolutely vital to your long-term oral health, so of course, the products you use every day are extremely important. We’re always willing to make recommendations so that you and your family know which products are best for your particular smiles, and we can even provide prescription strength ones you won’t find on store shelves. Just ask your hygienist during your next appointment, and they’ll be happy to tell you exactly what your smile needs!